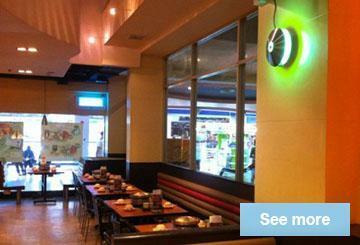 Fans, ceiling fans and ventilation system units on creoven! 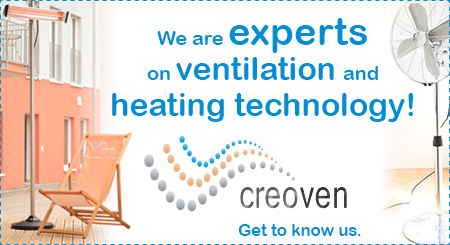 Are you looking for fans, heaters and products to optimise your indoor climate? "Five stars for outstanding customer service, quality and speediness." Only 150 Dollar to free shipping. *Only for orders to Australia. Fans of all kinds are our speciality. Whether you are looking for a classic pedestal, floor or desk fan, a ceiling fan or a new ventilation system, here you will find the perfect device for your needs. Warmth and a cosy atmosphere are guaranteed. 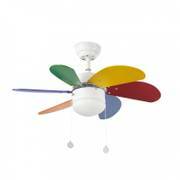 In our range of products you will surely find your ideal ceiling fan. Whether you are looking for extravagant shapes or traditional and simple design - you can always rely on our top-quality products. You can also find ceiling fans with and without lights in our shop, models for indoor and outdoor areas, slim hugger or huge fans. 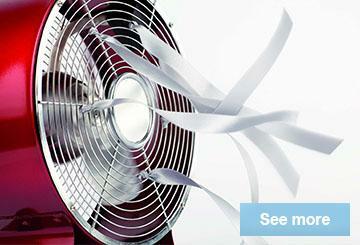 Our selection of fans includes products from Westinghouse, Hunter, AireRyder or CasaFan. Electric killing grid flykillers are also part of our product range. They are particularly recommended when working with or storing food. Our available portable fans provide cooling in a room, even on hot summer days. They come in so many different shapes and sizes, there is something for everyone. It is best you take a look for yourself and browse our products. 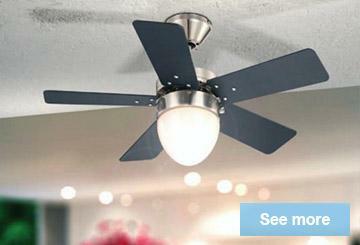 Summer or winter - our ceiling fans always appear at their best. On hot days they provide pleasant cooling and save costs for an airconditioning system, and during the cold time of the year the reverse function of the blades recirculates heat. All in all, a fan is much more economic in smaller rooms and domestic environments than the installation of special heating and cooling devices. Using our devices is as easy as pie, simply pull the cords that are attached to the housing. If required, the ceiling fans can also be controlled with a remote control or wall control unit for easier access. It is characteristic for the motors of our appliances to run quietly, so they do not disturb you in your home. They also add a special ambience to the room: A fan literally has a "cool" vibe and is reminiscent of classic films such as "Casablanca". Ceiling fan Cyrus Chrome with lights 107cm / 42"
Ceiling fan Viper Steel / Oak with Light 112 cm / 44"
Ceiling Fan Mayfair Combi Brass with Light 107cm / 42"
Ceiling fan Airfusion Airlie White with light and remote control 122 cm / 48"
Ceiling fan Viper Plus Pewter / Black 112 cm / 44"
It does not matter if you have a question about your order or handling of one of our products, our savvy customer service is happy to help! High security standards combined with trust - At creoven all data between your PC and our website is encrypted, they are not visible to third parties, making your purchase more risk-free than ever before.